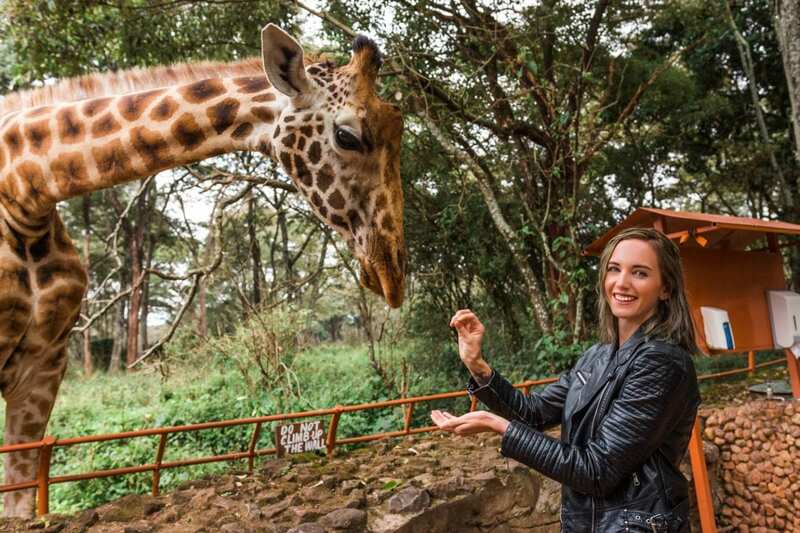 “Baaaaaaaaaah Soweeenyaaaaaaahhhhhh Mamabeatssebabaaaaaaaahh” and “I guess the rains down in Africaaaaaaa” are two of the unofficial chants of tourists in Kenya for the first time. And if you’re a millennial who grew up with Mean Girls, getting to say “Jambo” in real life is a surreal and slightly cringy experience. 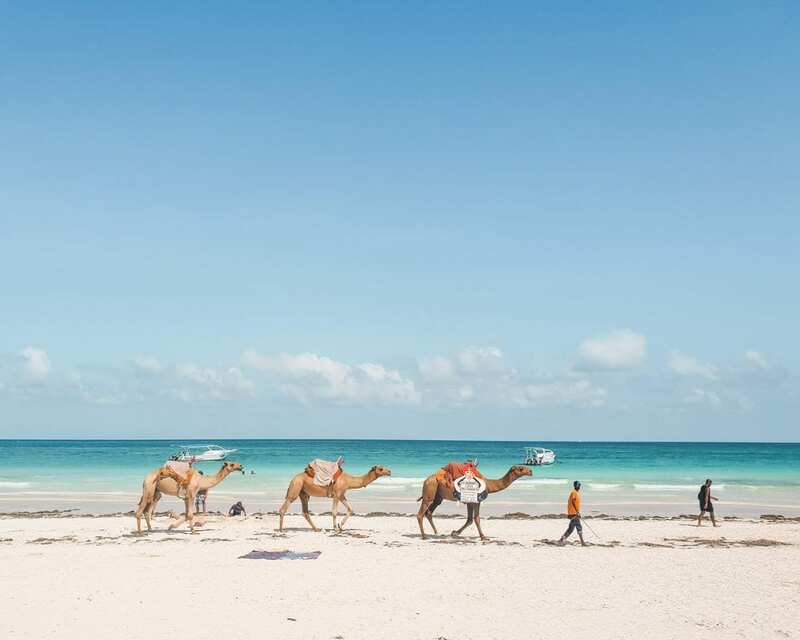 Kenya is an incredible destination whether you’re looking to go on safari or the ultimate beach holiday, there are a few things you need to know before your first trip to this East African country. Whether it’s how to use the country’s M-Pesa money system to getting around and safety concerns, ya gurl has all your questions answered. Here are 15 useful things to know before you travel to Kenya! One of the most annoying parts of international travel for South Africans is the massive and expensive pile of visa paperwork. Luckily, Kenya is a visa on arrival destination! All you need is a valid passport, and you’ll get a free 90-day visa on arrival. If you’re a US, Europen or Australian citizen, getting a visa for Kenya is slightly more complicated and you have a few options. While you can get a Kenya eVisa or pay for your visa on arrival, I suggest applying for the East African visa. It will give you access to Rwanda, Uganda and Kenya and save you a ton of cash! You’ll need to apply for the East Africa visa online before you travel and it will cost $150 per person. If you’re not interested in travelling to the other East Africa countries, an e-visa for Kenya will cost $50 + $35 service fee. As always, please double check the visa requirements for your nationality in case anything has changed! Yes! 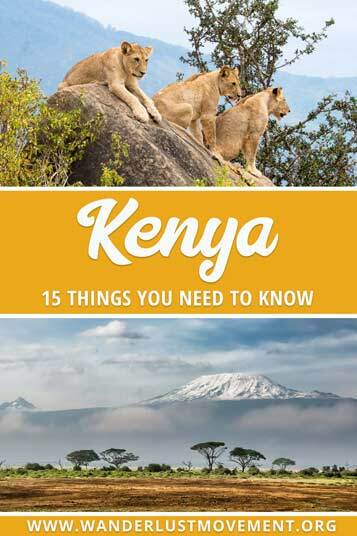 It is safe to travel to Kenya, but like any other destination in the world, there are a few things you need to be aware of before arriving in the country. While I felt perfectly safe walking around Nairobi during the day, bar hopping at night and getting into Ubers alone, not everyone else will have the same experience as me. If you’re a solo traveller, always take the necessary precautions to ensure someone knows where you are and where you are going. I usually share my location on Google Maps with my boyfriend when I travel alone, especially if I’m in an Uber by myself. It’s also a good idea to let someone at your hotel know where you are going. 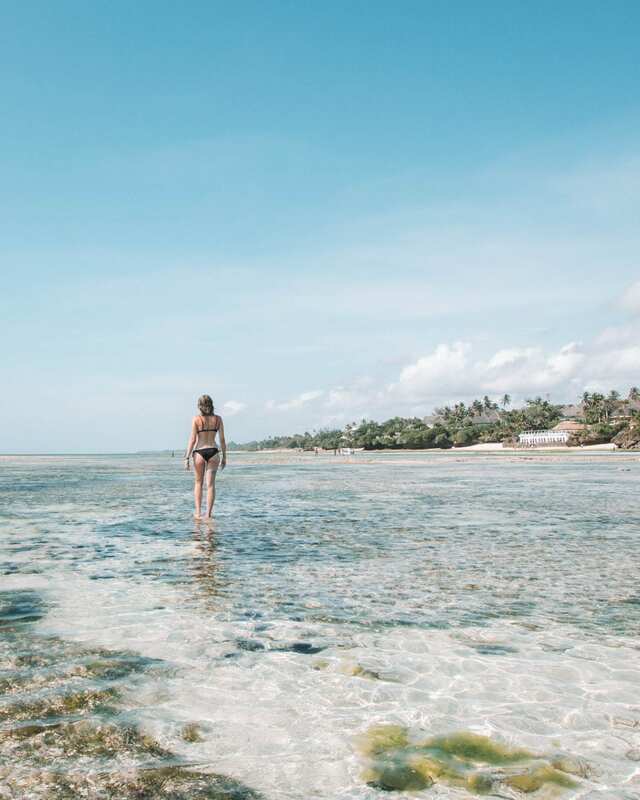 If you want to visit Lamu and Malindi in the north of Kenya, don’t travel there by road. It’s much safer and cheaper to catch a flight from Nairobi or Mombasa. The reason you’ll want to avoid road travel there is that those destinations border Somalia and it isn’t a stable region. Over recent years, Kenya has had to deal with an increase in terrorist activity. As a result, airport security is different from what you’ve probably experienced in other countries. While getting out of the airport is easy enough, when you return for your flights back home, things are slightly more complicated. You’ll need to get out your car and join a line to be screened for weapons on your person. While you’re doing that, your Uber or rental car will be searched. After that initial screening, you’ll still need to go through an additional security check to get into the airport building. Give yourself enough time to get through all the extra procedures to avoid missing your flight. At shopping malls in Nairobi, your bags will also be searched, and there are body scanners at all the exits and entrances. You need a yellow fever vaccination to travel to Kenya. After my flight to Nairobi landed, an official was waiting to collect my yellow fever certificate to check its validity. Your yellow fever vaccination needs to be at least 10 days old to get your visa on arrival. Make sure you book your appointment at your local travel clinic with enough time to meet this requirement. My yellow fever vaccination cost me R350.00, and it protects you from the disease for ten years. There is a high risk of Malaria in Kenya. While it is low in Nairobi and immediate areas, you’ll need to use malaria medication if you’re travelling to the Central, Eastern, Rift Valley, Nyanza and Western Provinces. Before you travel to Kenya, consult your nearest travel clinic to find out which malaria tablet is the best choice for your body. The official currency in Kenya is the Kenyan Shilling. However, US dollars are widely accepted and are the preferred currency for safaris, national park entrance fees and hot air balloon safaris. If you’re buying food or anything else that isn’t a tourist activity, you can use the local currency. There are also some ATMs that let you withdraw US dollars. Don’t forget to tell your bank that you’re travelling to Kenya so you can use your card to swipe for purchases and make cash withdrawals! M-Pesa is a mobile payment service that everyone in Kenya uses. It allows you to pay for almost anything without having a bank account. All you need to do is load money onto your phone (you’ll need a local sim card), and you can easily pay your bills, groceries, transportation and even entrance fees for national parks with M-Pesa. If you’re going to travelling around Kenya for a while, I recommend signing up for the service! 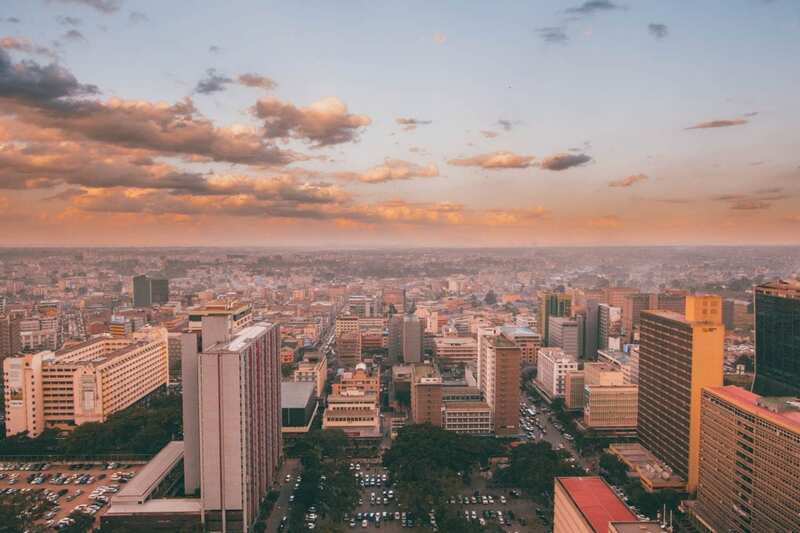 Kenya has two official languages: English and Swahili. Asante / Asante Sana: This means thank you / thank you very much. Pole Pole: This translates as “slowly slowly” and is the perfect phrase to express African time. The plugs in Kenya are Type G, and the standard voltage is 220/230 with a frequency of 50Hz. I recommend buying an adaptor for your plug before your flights (especially if you’re travelling from South Africa). Make sure your universal adapter has surge protection! I’d also recommend bringing a power bank to charge your electronics. Some of the lodges turn off of their electricity at night to save power, and you might not be able to charge your devices for as long as you’d like. Kenya has a variety of cheap data plans for tourists. Once your flight arrives in Nairobi, you can buy a sim card from one of the vendors outside of the arrivals hall. I highly recommend getting a sim card, so you’re always connected. Especially, if you know, you’re going to be using Uber. While Safaricom is the most popular operator, I choose Telkom as it’s a brand we have in South Africa. I got an excellent monthly deal that gave me 25GB of data for 1,999 KSh (R290.00)! If you don’t have time to get one at the airport, you can visit one of the operator’s shops in Nairobi. All you’ll need is your passport and installation will only take 10-minutes at most. Always make sure your sim card is working before you leave the shop! 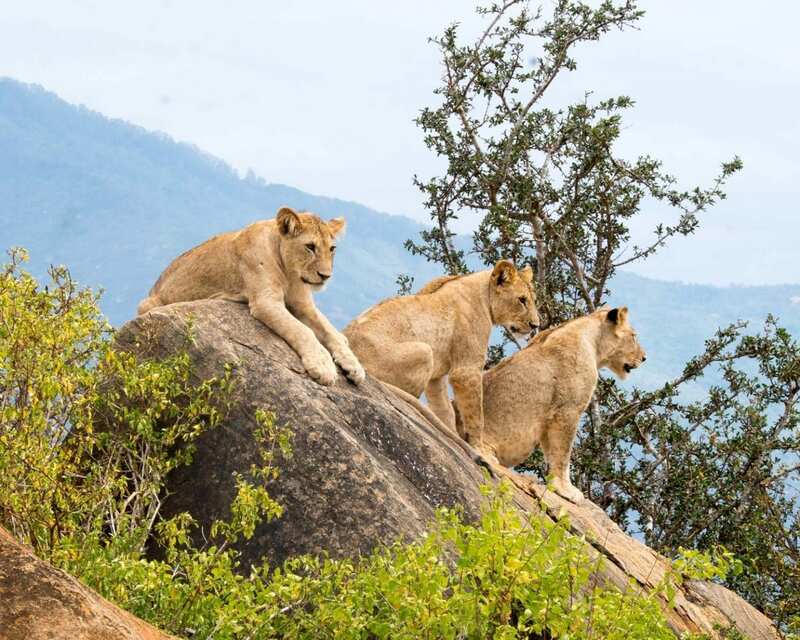 The best time to visit Kenya all depends on what you want to see and do. If you’re travelling to the country for an epic safari holiday, you’ll want to plan your trip around the dry season. January to February and June to October are the best months to spot animals. The lack of rain means you’ll see the wildlife gathering around waterholes in massive herds. If you want to catch the Great Migration, the animals cross the crocodile-filled Mara River around August. For holidays along Kenya’s beautiful coastline, plan your trip over the dry season or during the country’s shoulder seasons. 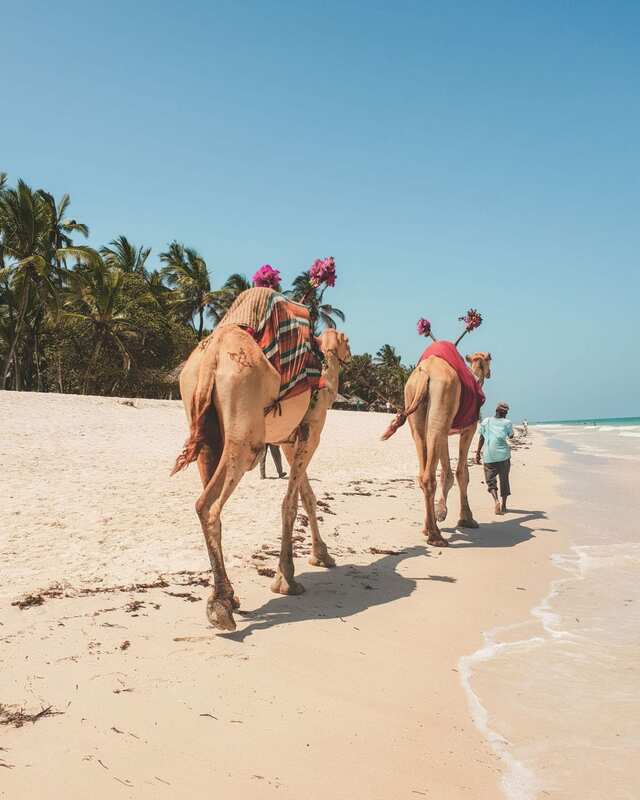 I went to Diani Beach and Watamu in October, and there were hardly any other tourists. The hotels were virtually empty, and while there was one weekend with a few thunderstorms, the weather was otherwise perfect! The tap water in Kenya isn’t safe to drink as the supply isn’t always reliable. Most hotels will have a free water dispenser that you can use to fill up your reusable water bottle. In the Airbnb that we stayed in, we ordered a months supply of water for the dispenser in our apartment, and it was super affordable. You can also use the tap water to brush your teeth. P.S. I spoke to some Kenyans and they mentioned to me that most locals only buy bottled water when they are on the road or don’t have a constant supply of running water. The water is generally safe for drinking and cooking. The reason I have said it’s not safe is that the Americans I lived with in Nairobi drank the tap water, ate a salad and got upset stomachs. It’s possible something else made them sick, but I know some people are more sensitive than others. I did wash my vegetables with the tap water and I didn’t have a problem. So it’s just something to keep in mind. Nairobi has incredible food options for every taste and diet. The cosmopolitan city is home to a large number of immigrants, and this is reflected in the city’s diverse food scene. Fresh produce and healthy food is super cheap in Kenya. If you’re staying at accommodation with a kitchen, I highly recommend cooking most of your own meals. The avocados in Kenya are ridiculously cheap and HUGE, and the quality of food is excellent value for money. Imported items like peanut butter will be more on the expensive side. While I did cook the majority of my meals in Nairobi, I couldn’t resist going on UberEats a few times a week. 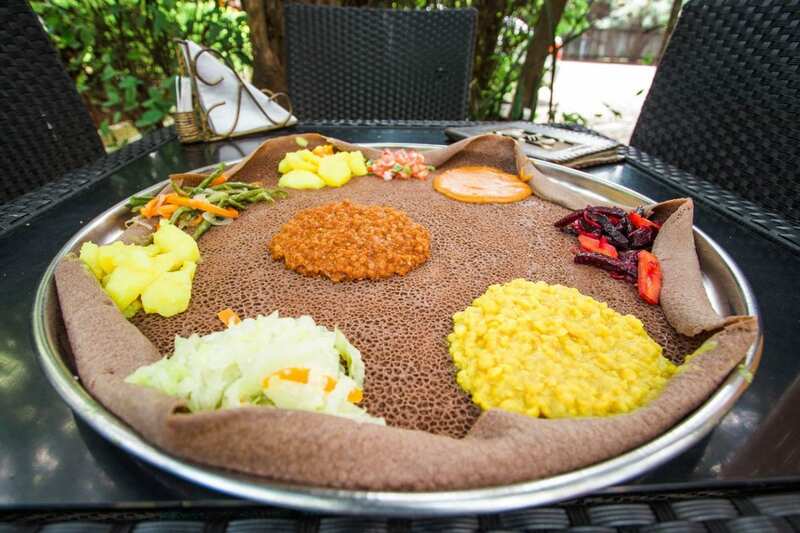 The city has such an excellent selection of restaurants, and I’m addicted to Ethiopian food. You won’t go hungry as a vegan in Kenya, especially in Nairobi. 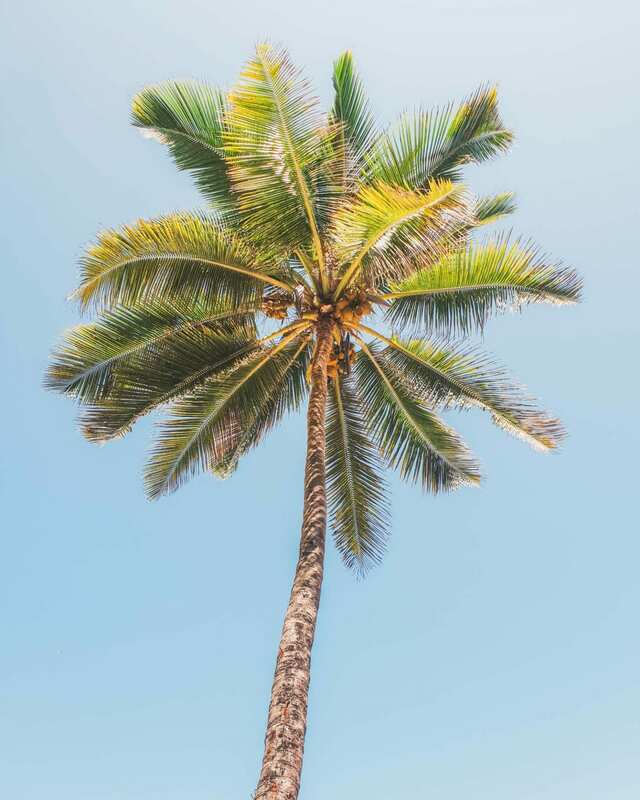 There are plenty of vegan-friendly cafes and restaurants to choose from, as well as a few local Swahili dishes that you can try. The easiest way to get around Kenya is to fly. 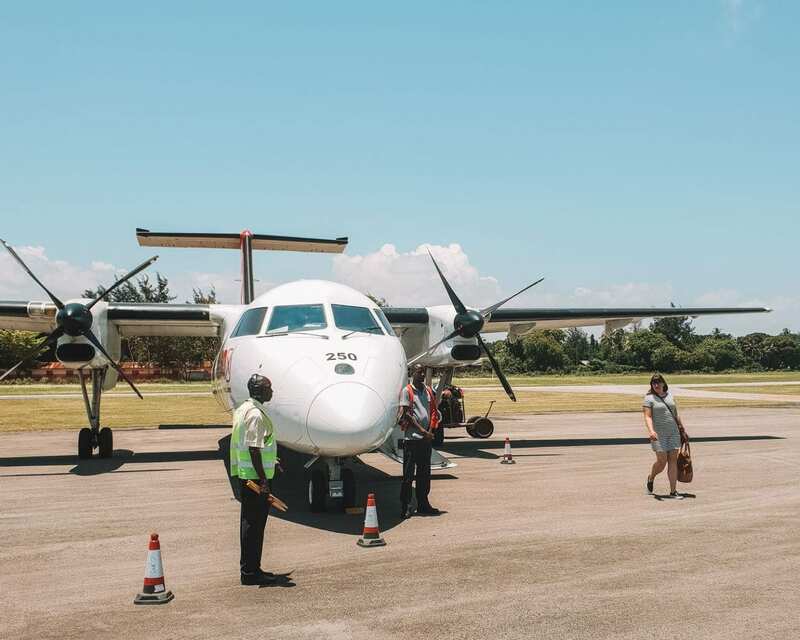 There are a few budget airlines that offer ridiculously cheap flights from Nairobi to destinations like Diani Beach, Mombassa, Lamu and Watamu. If you have more time on your hands, you can take the train from Nairobi to Mombasa. It’s an affordable option, and the service runs every day from 9 am. It’s a popular way to get between the two cities, so you’ll need to book your tickets in advance. If you can’t make payment via M-Pesa, you’ll need to go to the station in person to get your ticket. Matatus are shared minibus taxis and are what the locals use to get around. If you want to from Nairobi to Hell’s Gate National Park, you can catch a matatu there as well as to other nearby destinations. Other options include tuk-tuks (especially in coastal destinations like Diani and Watamu) and boda bodas (motorbike taxis). Uber isn’t widely available outside of Nairobi and Mombasa. While I was able to find drivers in Diani Beach, it was only for a small area, and there weren’t any drivers on the app late at night. If you’re staying in Nairobi, Uber is the easiest way to get around. 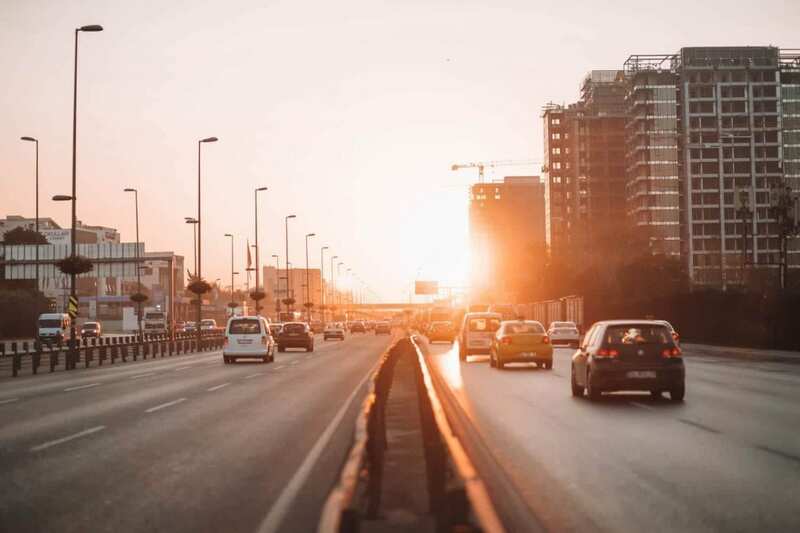 However, trips can take a long time, especially if you’re travelling during peak traffic hours. Masai Mara: Head here for the famous Wildebeest Migration! 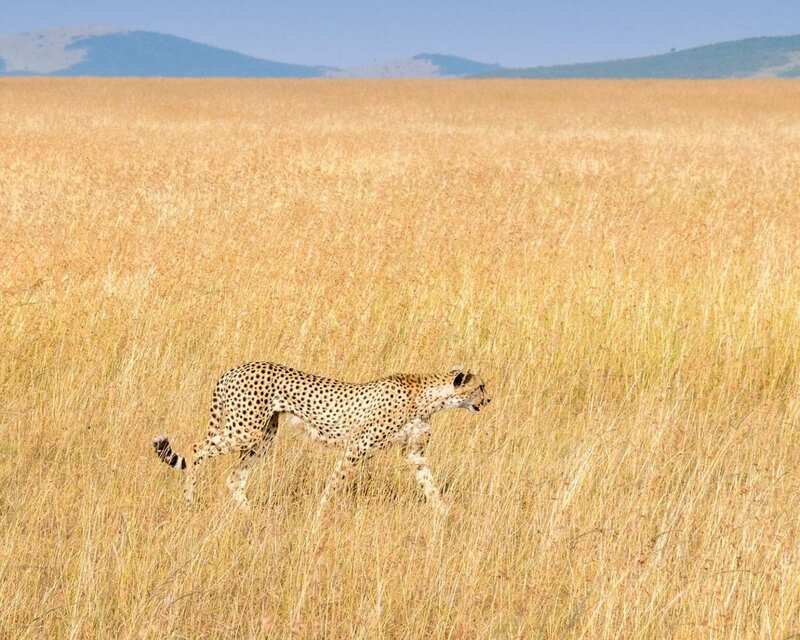 Tsavo East: A lesser visited safari destination that is one of the oldest national parks in Kenya. 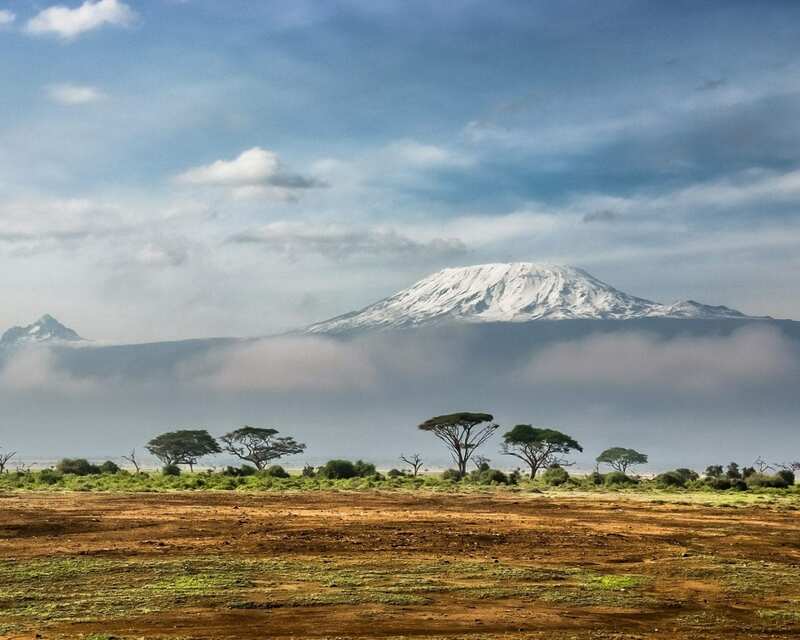 Amboseli: The park is famous for its elephants and beautiful Mt Kilimanjaro backdrop! Hells Gate: An easy day trip from Nairobi that’s known for its cycling safaris and rock climbing. 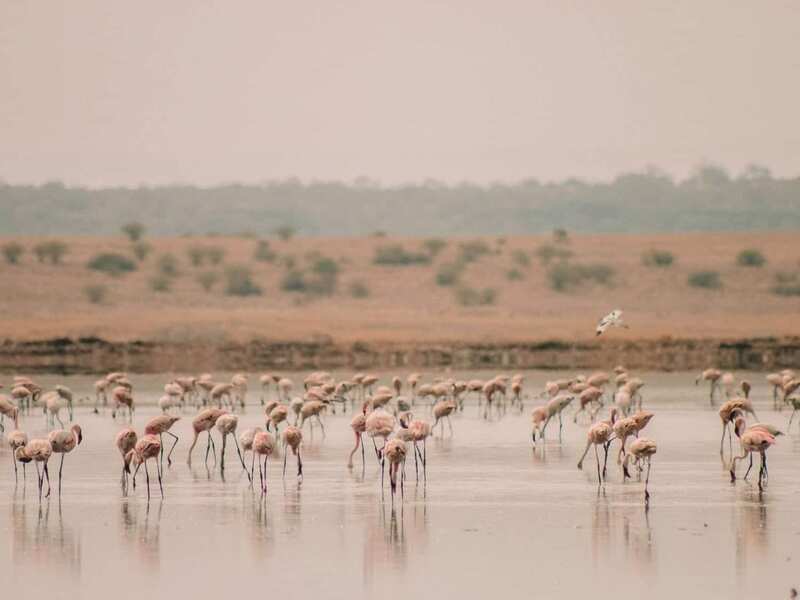 Lake Nakuru: The park is home to massive flocks of flamingos. Lake Naivasha: Go here for incredible boat safaris. 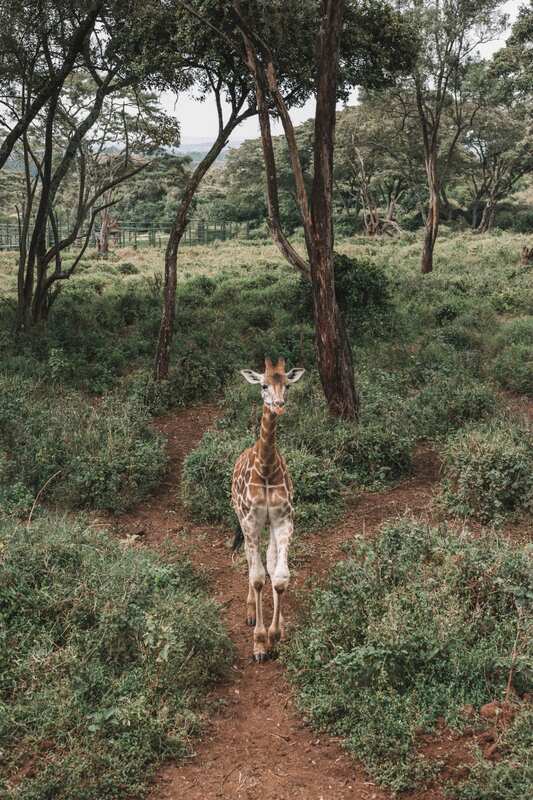 When you travel to Kenya, bring along a DSLR camera with a zoom lens. I use a Canon 75-300 mm lens for all my animal photos. You’ll also want to bring more than one memory card and a spare battery that is fully charged. If you’re new to photography, I’d recommend using your cameras auto settings. Most DSLR cameras will have a setting for moving objects which is perfect for capturing wildlife in action. A good rule of thumb is to tip between $10 -15 per person per day for safari tour guides. You should also keep a stack of one dollar bills for smaller tips. For your safari in Kenya, you’ll want to pack light, breathable clothes for the hot days and warm layers for the cool evenings. Try to keep your colour palette around khaki, beige, olive green and brown tones. It will make you less visible in the bush, and these colours will attract fewer mosquitos. 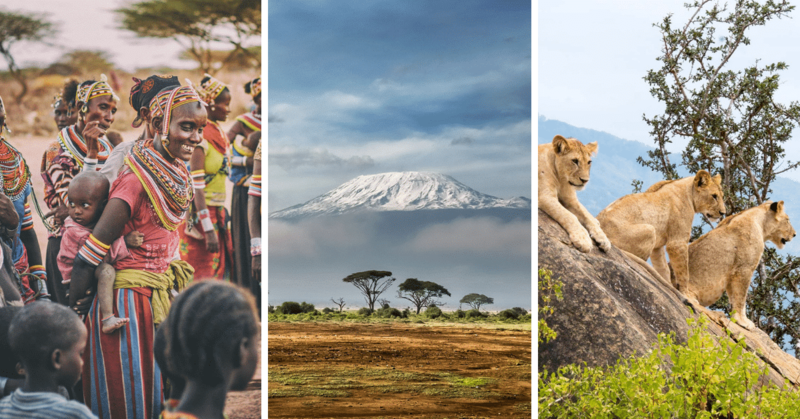 Do you have any travel tips for Kenya? 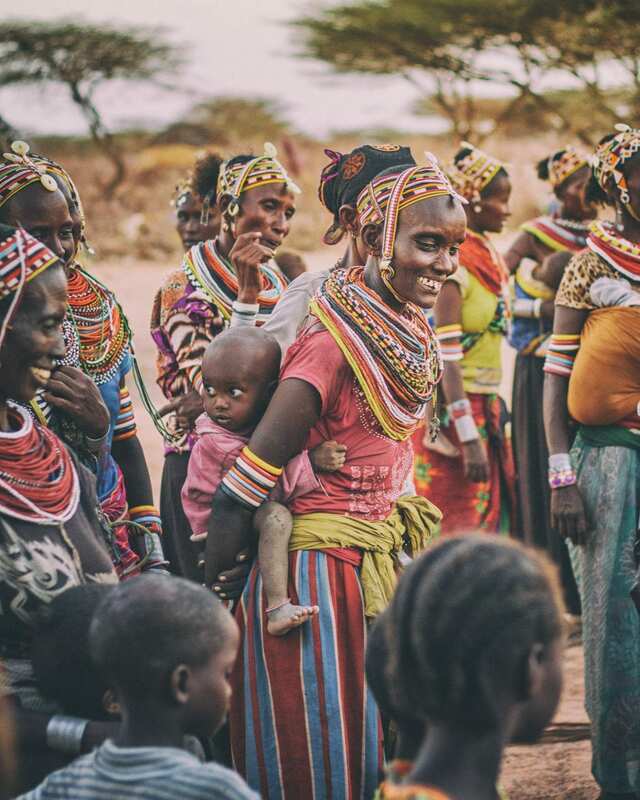 Anything I missed that you think first-time travellers to Kenya need to know? Let me know in the comments below! This is such a great guide! And the M-Pesa app sounds genious! 🙂 Definitely bookmarking this for later, thanks so much for sharing! Would love to travel to Kenya. A very comprehensive guide for visitors. This is so helpful. Heading to Kenya in July 2020, so all this practical information will be great! Thanks for putting it together! Very well-written guide! Couldn’t believe my eyes when I was reading about the M-Pesa! I would have never thought in such a country there was some kind of Apple Pay system! Crazy! Wow! I’d love to do one of those ancestry DNA tests one day! Such a beautiful and helpful post! Kenya is so high on my bucket list. Bookmarking this one! These are all amazing tips! It’s been at the top of my bucket list since, idk Lion King?, to travel to Africa. Stunning photos! I hope to make it to Kenya one day.